The folks over at TES Renewal Project released a new trailer yesterday updating fans on their progress with Skyblivion, a mod aimed at recreating all of Oblivion inside of Skyrim. 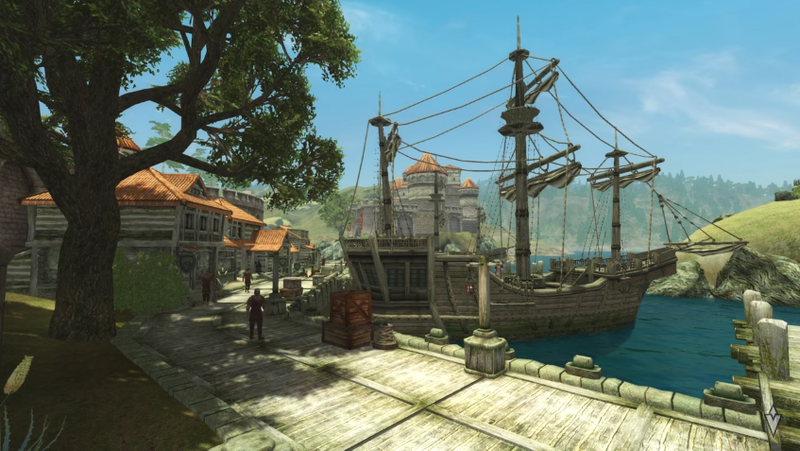 In a four minute video depicting a trip through Cyrodiil, the capital province of the Empire in Tamriel featured in Oblivion, we see everything from city ports to idyllic mountain streams. It’s just a glimpse of the progress that’s been made on the fan project over the past year, which also includes things like the addition of the manually created NPCs, quests, and voiced dialogue, as well as its first in-game creature. Skyblivion is just one of many mods the group has undertaken. There are others like Skywind and Beyond Skyrim: Cyrodiil, both of which we’ve reported on before, that also try to incorporate the people and places of earlier games in the series into the more advanced engines of Oblivion and Skyrim. These projects are huge undertakings that rely on the passion and generosity of strangers in the community in order to elaborate on and connect the visions of the games’ original developers. A decade after Oblivion was released, and even longer since Morrowind first game out, mods like Skyblivion show the world imagined through Bethesda’s The Elder Scrolls series really has taken on a life of its own. The group says despite all the work that still needs to be done, the “to do” lists grow shorter every month and the “end is in sight.” There’s still no release date at this time, however, and the group is always looking for new people to help with scripting and creating new asserts. TES Renwal Project did a live-stream demo of Skyblivion today in which they took questions from the community and explained their process. You can watch that Q&A below.